June is not just for marking the end of the school year and welcoming good weather. It is also PTSD Awareness Month. This month, the PTSD Foundation of America launched a nationwide awareness campaign to shed more light on Post-Traumatic Stress Disorder and the impact it has on veterans—and their families. With more than 20 percent of veterans returning from Afghanistan having been diagnosed with PTSD, awareness is absolutely vital as we as a society learn how to provide support. One person who knows only too well the impact of PTSD is Secret Charles-Ford, a UW alum. Her husband, Steve, who served in Vietnam in 1968 and 1969, has been dealing with the condition for more than 40 years. In fact, he was part of a pilot program at the UW to help returning Vietnam War veterans who were suffering. 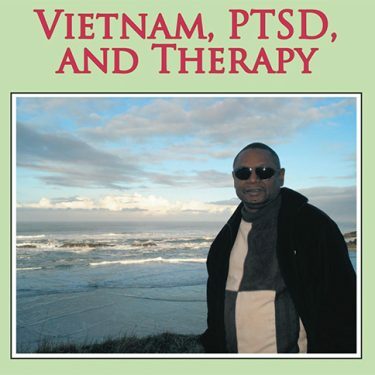 Her experience of having a loved one dealing with PTSD inspired Charles-Ford to write the book “Vietnam, PTSD, and Therapy: Survived All That!” a few years ago. Her goal in writing the book: to share what she has learned about living with a mate suffering from the disorder.